Kevin might be the most patient person I know. He got stuck working with me for my first close, total luck of the draw. 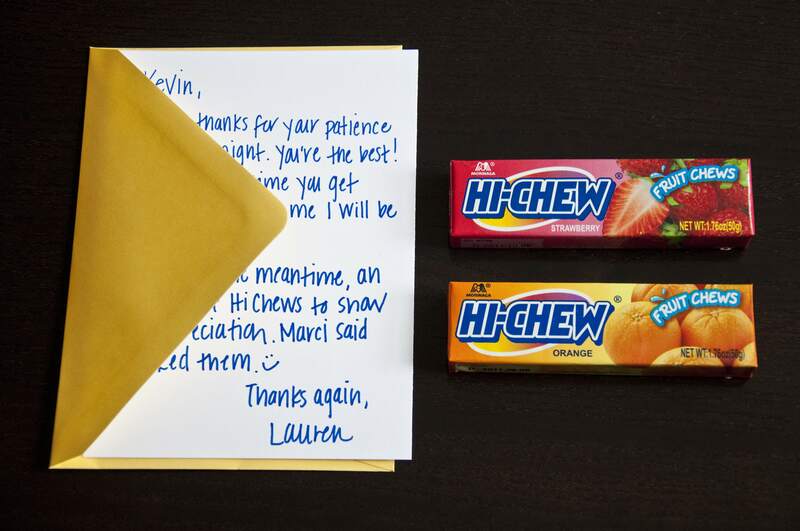 This man deserves way more than Hi Chews. Big thanks for your patience the other night. You’re the best! I promise next time you get stuck closing with me I will be lightning fast! And in the meantime, an offering of Hi-Chews to show my appreciation. Marci said you liked them. :) Thanks again!